Vaping flavors like cinnamon and vanilla increase the risk of developing life-threatening diseases, a new study warns. Researchers exposed immune cells to chemicals used in e-cigarette flavoring, a component of vaping that is appealing to many users. They found the cells produced substances responsible for inflammation and tissue damage, and many of the flavoring chemicals caused significant cell death. 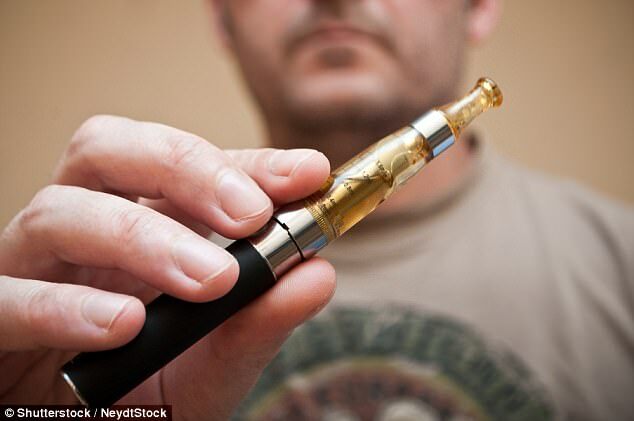 Although vaping flavors are considered a healthier alternative to tobacco cigarettes, scientists at the University of Rochester warns their findings provide more insight to the harmful effects of vaping flavors. E-cigarettes contains nicotine and some relatively harmless organic solvent and is considered a safer substitute for tobacco smoke, which contains nitrosamines and many carcinogenic chemicals from burning. There’s been a significant increase in e-cigarette use in recent years as traditional cigarette consumption declined. In the US, there are more than 500 brands and nearly 8,000 vaping flavors on the marker, according to the American Lung Association. The lungs are exposed to flavoring chemicals when the e-liquids are heated and inhaled. While they are advertised as a healthier alternative to tobacco cigarettes, the health effects of these chemicals are not well understood. Previous studies have linked vaping to adverse health effects. Research published in the journal Proceedings of the National Academy of Sciences this week found e-cigarette smokers had a higher risk than nonsmokers of developing lung and bladder cancers and heart diseases due to its nicotine content. The new study, published in Frontiers in Physiology, was an investigation into the health effects of flavoring chemicals without nicotine. They found flavoring chemicals and liquids in e-cigarettes can cause significant inflammation to monocytes, a type of white blood cell involved in protecting the body against both infectious disease and foreign invaders. Popular vaping flavors like cotton candy, cinnamon, vanilla and buttery flavors were some of the most toxic. Researchers also found that mixing e-cigarette flavors has a much worse effect than exposure to just one. Senior author Dr Irfan Rahman, of the environmental health sciences center, said while e-cigarettes are thought to have relatively less or no harm to the consumer’s health compared to tobacco smoke, vaping flavors are not safe for inhalation. ‘Currently, these are not regulated, and alluring flavor names, such as candy, cake, cinnamon roll and mystery mix, attract young vapers,’ Dr Rahman said. Researchers said tighter regulations are necessary to reduce the risk of ‘inhalation toxicity’ due to exposure to vaping flavoring chemicals.